What is Dynamic Sync TS? When specific market forces (Price Action, Trend, Momentum and Market Strength) are working in unison, the combined effect can produce higher probability trades. The Sync trading method depicts…in real-time…the interaction of these market forces providing traders the means to make trading decisions with greater confidence and less emotional hassle. Because this system use custom Dynamic Zone Indicators instead of traditional ones. The objective is to have a system automatically define its own buy and sell zones and thereby profitably trade in any market — bull or bear. 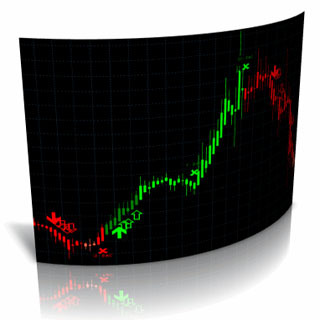 Dynamic Zones offer a solution to the problem of fixed buy and sell zones for any indicator driven systems. Dynamic Zones offer traders a different perspective on the typical trading systems. The markets are constantly changing, and if indicator driven trading systems are to remain competitive, they must learn to evolve with the markets. 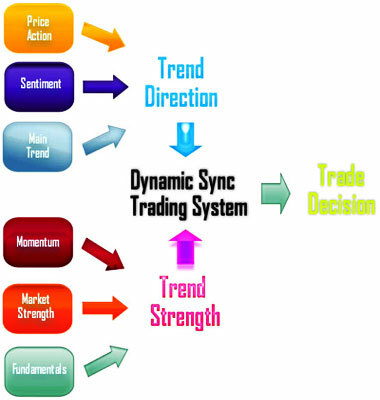 Dynamic Zone based trading systems can actually quantify the extremes and thereby improve the trading process. And most importantly these trading improvements can be used to increase the profit potential in any market. Because when specific market forces (Price Action, Trend, Momentum and Market Strength) are working in unison, the combined effect can produce higher probability trades. Working in unison, Price Action and Sentiment give traders a distinct trading advantage. When both are in agreement, favorable trading conditions exist. For instance, when price action is showing upward movement with buyer’s sentiment, there is higher probability of a Long position having a favorable outcome. Similarly, when price action has a downward movement in conjunction with sellers’ sentiment, a short position has a favorable outcome. 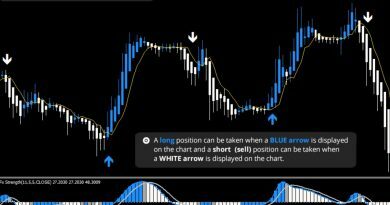 This indicator will dramatically helps you to improve your ability on timing your entries over the trend. The calculation is obtained only above closed bars to absolutely avoid repaint of signals. This is a existential point of this system: unlike many other expensive tools, with Dynaminc Sync TS you will never see a signal disappear or change on the fly. The indicator is coded so that these signals appears when conditions are satisfacted, because we’ve found that over the long term if trades are placeed in these condition with precise rules, a positive expectancy exists. Following these rules when signals appears, we have obtained results which are better, for istance, of the 3 MAs crossover, or of the channel breakouts strategies (just to name two of the more known systems for trend following trading). this system have a better Risk/Reward Ratio, a better Hitrate, a better Sharpe Ratio and distribution of profits, time of trades and many more parameters, and also a nice z-score which allows the trader to push up the profits with a sound money management system. Placed right below the price chart you have a combo frame. This includes the Dynamic Zone Stochastic, together with a Colored Fast Stochastic and a Slow Stochastic. The purpose of this indicator set is to visually split minor moves (pullback) during the evolution of the major trend, and to determine upper and lower boundaries and signal potential reversal or breakouts. This will give the trader the ability of immediately estimate the power of the movement running, and decide if there’s enough space to enter at the first pullback, or is better wait for the new trend. Dynamic Zone Stochastic is the natural evolution of the Lane’s Stochastic. It is based on a colored fast stochastic painted over a fast Bollinger Bands indicator. Bollinger Bands are a technical trading tool created by John Bollinger in the early 1980s. They arose from the need for adaptive trading bands and the observation that volatility was dynamic, not static as was widely believed at the time. Lane did not believe that a readingabove 80 was necessarily bearish or a reading below 20 bullish. A security can continue to rise after the Stochastic Oscillator has reached 80 and continue to fall after the Stochastic Oscillator has reached 20. The purpose of Bollinger Bands is to provide a relative definition of high and low. By definition prices are high at the upper band and low at the lower band. This definition can aid in rigorous pattern recognition and is useful in comparing price action to the action of indicators to arrive at systematic trading decisions. Faster Stochastic will help you to follow all the pullbacks inside the trend. Let’s see at the chart above on the right. Dynamic Zone Stochastic indicator set is built to recognize Elliot wave patterns within the trend. While the slow stochastic follow the major trend (in this case, the minute cycle), the fast colored stochastic catch the moves inside it. Overbought condition of Fast Stoch is a prediction of wave ends and the beginning of the corrective one, which will ends bouncing on BBands’s opposite side. Always draw a trend line to help you follow this movement. When both fast and slow stoch became overbought, consider exit position and never trade on the same direction. The next movement may be very strong. Sync Dynamic Zone Strength Index (Dynamic RSI) is the real ultimate sentiment-analyzer tool based on the traditional RSI from Welles Wilder. RSI is a measure of investor sentiment, and as such is used to forecast shifts in trend. It is prescient in forecasting turns in the market. The RSI measures the ratio of up-moves to down-moves and normalizes the calculation so that the index is expressed in a range of 0-100. Our Dynamic RSI is a hybrid indicator developed to indicate market conditions as trend directions, momentum, and market volatility. The RSI arranges between 0 and 100 and it is also named as a price-following oscillator. The best analysis of the RSI was found out: it is better to find a divergence in which a new high is being made by the security, but the RSI is going down to surpass its previous peak. This divergence means that soon the reversal will come. A “failure swing” completed, when the RSI turns down and decrease below its most recent low. RSI can be very frustrating when it fails to reach overbought or oversold for long periods of time. Well, let’s just consider what RSI is telling us and whether we can use that concept in another way. In fact RSI is calculated by measuring the sum of the higher closes and also the sum of the lower closes and normalizing the ratio of the result within a band of zero to 100. Clearly, when price rises then the sum of the positive close movement is larger than that of the negative close movement and thus RSI moves higher. The opposite is also obviously true. Dynamic Sync Multi Color Candles are a powerful tool for visual trading, based on Heikin Ashi candles filtered with Dynamic Zone Stochastic. There is a lot that can be learned about the movement of the currency by studying the various patterns of the candlesticks. Most profits (and losses) are generated when markets are trending–so predicting trends correctly can be extremely helpful. Many traders use candlestick charts to help them locate such trends amid often erratic market volatility. The Heikin-Ashi technique–“average bar” in Japanese–is one of many techniques used in conjunction with candlestick charts to improve the isolation of trends and to predict future prices. In Sync we use a modified version of Heikin Ashi MA, filtered with Dynamic Zone Stochastic. When one of the stochastic line crosses the 20% and 80% levels or differently goes on a oversold/overbought condition as stated above, it means it was an Overbought or Oversold market moods. This can be a very intuitive and powerful tool. The Heikin-Ashi technique is extremely useful for making candlestick charts more readable–trends can be located more easily, and buying opportunities can be spotted at a glance. The charts are constructed in the same manner as a normal candlestick chart, with the exception of the modified bar formulas. When properly used, this technique can help you spot trends and trend changes from which you can profit. Mechanical Trading Systems are rigid, systematic methods that base buy and sell decisions on specific price changes or price relationships. These relationships are assumed to be the ones where you can find the best probability of success. Unfortunately, markets are not mechanical besides. Often you may find the condition to enter a trade, just to see them completely reverse in few minutes. The same thing happens during a strong trend: even a very strong trend ever presents waves (see Elliot Theory explained above). Waves which go in the opposite direction of the main trend are generally not advisable for trading because of a non advantageous risk/reward ratio. All the situations above are the nightmare of EAs and automatic trading systems based on fixed entry/exit rules, which often appears during them just to disappear and reverse in minutes to results in huge losses. Because of this, to avoid mechanical system to signal false trades filters are added which cut possible false signals given according to the main strategy. The purpose of this filters indicators set is not to give the trader a technical entry/exit points recognizing tool based on price action, but instead this set will give the “general idea” on how the market is moving.